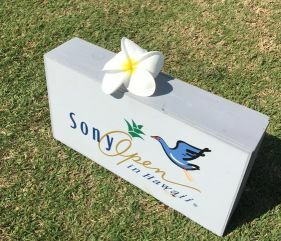 The Sony Open in Hawaii produced a lot of excitement and clutch shotmaking. Fabian Gomez was a worthy winner over Brent Snedeker in a play-off. However, I was rooting for Zac Blair the whole way. This was the second time in his young PGA career that he had been tied for the lead going into the final round. Was hoping this would be his breakout win. Unfortunately he came up one shot out of the play-off. What I like the most about watching him play is his pure joy in playing golf. He is constantly smiling and enjoying the moment to the fullest. Zac is 25 years old, but could pass for 16. One commentator said that he looks like he needed a pass to get out of school so he could come to the tournament. He stands 5’6” and 155 pounds and ranks 190th in driving distance, so he is definitely not your proto-typical touring professional. He talks to his ball and comments on his shots while they are in the air. His attitude is so refreshing that you can’t help but root for him. In a previous blog of over a year ago, I recounted being introduced to Zac when he was four years old. His father, a golfing competitor and friend for over 40 years, was very proud of him and wanted me to meet him and for him to tell me the secret of golf. To read the old blog, please go to www.earlsgolfblog.com and go to the library section and click on the 10-13-2014 article titled Zac Blair. I think you will enjoy the story of the encounter with the young Zac. Zac has grown up in a golfing environment in Utah. His father, Jim, is a PGA golf professional, who is a very accomplished golfer winning numerous state opens. He also played on the PGA Tour in 1984. From a young age, Jim encouraged Zac and provided the instruction and opportunity for him to excel at golf. Some would rebel with so much pressure to follow in your father’s footsteps, but Zac just loved the game and the competition. Even today it is rare that a day goes by that he isn’t playing 18 holes or more. His ultimate goal is to design and build his own golf course. In the Sony Open, he once held a two shot lead on the front nine. Gomez was blazing hot and caught him with a string of birdies. Zac was still in a tie for the lead until a bogie on 14 put him one back. Snedeker finally started to make some putts and pulled ahead on 16. After Gomez made an improbable putt on the 18th hole to go to 20 under par for the tournament, Zac had a 270 yard shot left on the 18th fairway that he needed to hit close and make the putt for eagle to tie for the championship. He hit what he said was the “best three wood of his life” to just outside 10 feet to set up his chance to tie. Unfortunately, the putt missed. Zac thought he read it correctly and hit it on line, but it didn’t go in. Becoming a winner on the PGA Tour is quite an accomplishment and difficult to achieve. Many years of long hours of practice and tournament competitions have led to acquiring the skills needed to win a PGA event. Zac played good enough to win. He put himself in position to get into a play-off. He hit clutch shots when others could have folded. This experience can only help him when he the opportunity to win presents itself again. Can’t wait to see how much bigger that smile will be when he succeeds.